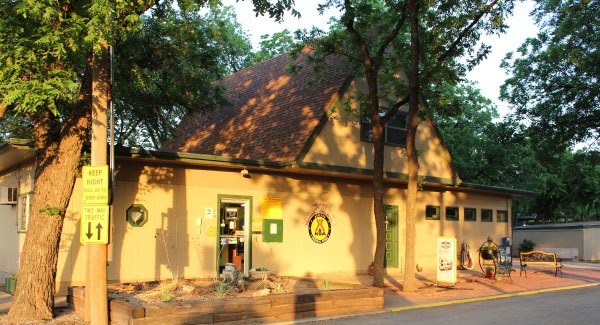 KOA Camping is great while traveling across the USA. I wish there were more of them in Texas. We were lucky to find this one in Abilene, on our way to Amarillo, Texas. 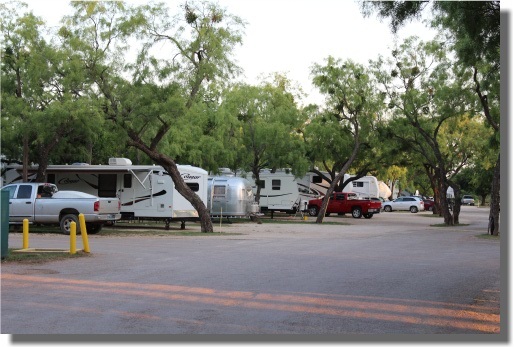 We were only staying one night at the KOA in Abilene, but while we were there, we found the staff to be very friendly and the accommodations just fine for a one night stay. We were traveling from the Austin, Texas area to Palo Duro State Park, near Amarillo, Texas. Abilene was about half way, so we decided to break up the, otherwise 8 hour, drive into two shorter drives to make the trip more easy going. We left the Austin area about 9am and arrived in Abilene around 1pm. We ate lunch at Cracker Barrel, about 6 miles from the KOA, and parked in the Walmart parking lot located behind the restaurant. That worked out great, because after eating lunch, we didn't even have to move our RV to do some last minute shopping at Walmart. Most of Texas was very dry in 2011, and we saw many high fire danger signs along the road. 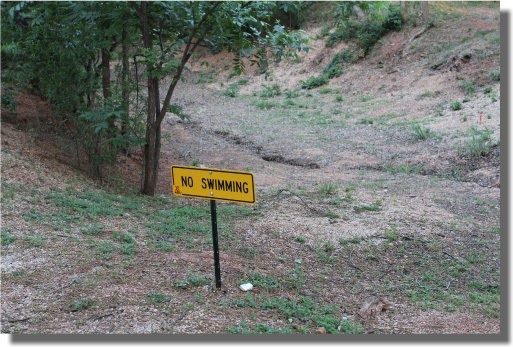 This picture of a dry creek that runs through the park says it all. Mesquite trees seem to dominate the Abilene area - along the way, we noticed only a few live oaks and a few pecan trees at the park entrance. We left the KOA at 7am to visit the Cracker Barrel again for breakfast. Then, it was on to Palo Duro State Park.